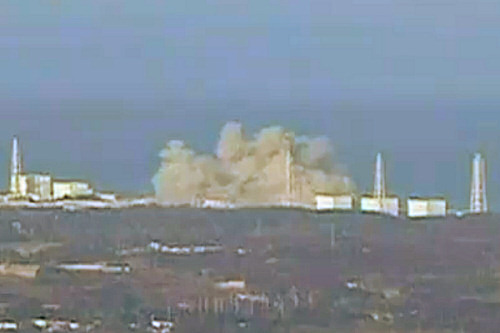 The WNA and other nuclear power supporters acknowledge Three Mile Island in 1979 (US), Chernobyl (left) in 1986 (USSR), and Fukushima (below right) in 2011 (Japan) as “major” disasters. 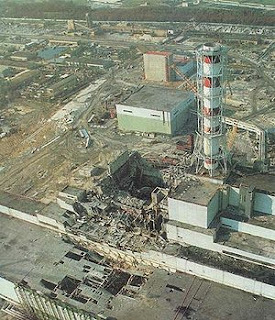 KYSHTYM/CHELYABINSK-65 (Russia), Sept. 29, 1957: A tank holding 70 to 80 metric tons of highly radioactive liquid waste exploded, contaminating an estimated 250,000 people, and permanently depopulating 30 towns which were leveled and removed from Russian maps. Covered up by Moscow (and the CIA) until 1989, Russia finally revealed that 20 million curies of long-lived isotopes like cesium were released, and the release was later declared a Level 6 disaster on the International Nuclear Event Scale. 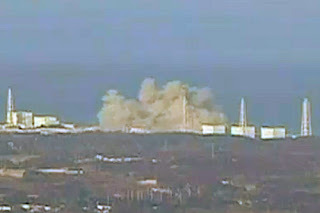 The long covered-up explosion contaminated up to 10,000 square miles making it the third- or 4th-most serious radiation accident ever recorded. The Little Puerco feeds the Little Colorado River, which drains to the Colorado River, which feeds Lake Mead—a source of drinking water for Los Angeles. Nuclear Madness, Revised, by Helen Caldicot (Norton, 1995). Multiple Exposures: Chronicles of the Radiation Age, by Catherine Caufield (Harper & Row, 1989). Greenpeace Book of the Nuclear Age, by John May (Pantheon, 1989). No Nukes, by Anna Gyorgy (South End Press, 1979).